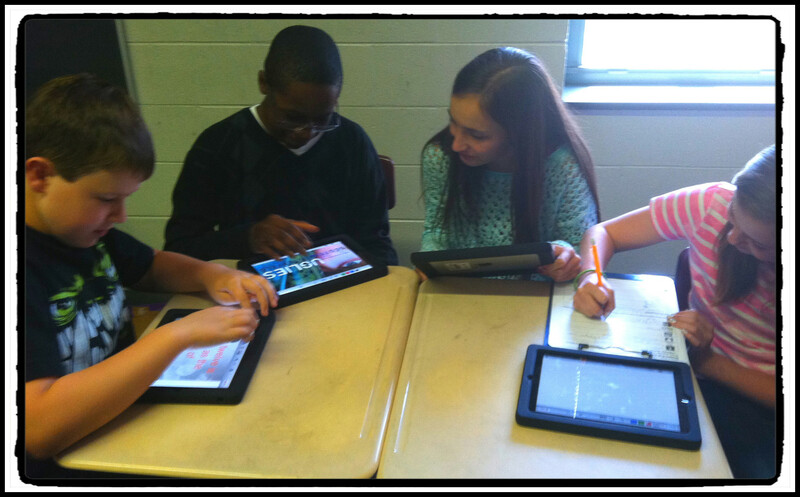 As that worksheet instructs, students then chose three Apps to explore more closely by answering the questions in the tables of the iPad App Evaluation worksheet for all three of their chosen Apps, such as how they see it being used in a language arts class and possible challenges and advantages the App has. By the end of the second day and into the third, I was projecting the directions on my screen from the third page of that document. We were mid-literature circle study, and students chose one App from the six to create “a product related to their book”. The directions were pretty much that wide-open. At the conclusion of their creations, we all viewed the products on Apple TV and discussed the Apps as a class. There are several things I would now do differently. For starters, Subtext does not belong on this list. It is a brilliant App for ELA and content area Common Core classrooms, but it needs more structure that this assignment had. (Choose the articles for them, make them accessible beforehand, etc.) More on Subtext to come, though. It’s fantastic. Also, I plan to pair some use of “Educreations” vs. “Show Me” together. “MindMesiter” vs. “Idea Sketch”. This would have them using similar yet different apps to set up some nice compare and contrast. However, I did enjoy just giving them the wide-open freedom. I will post soon on some of the creative ways they used the Apps – many I’d never have thought of myself. 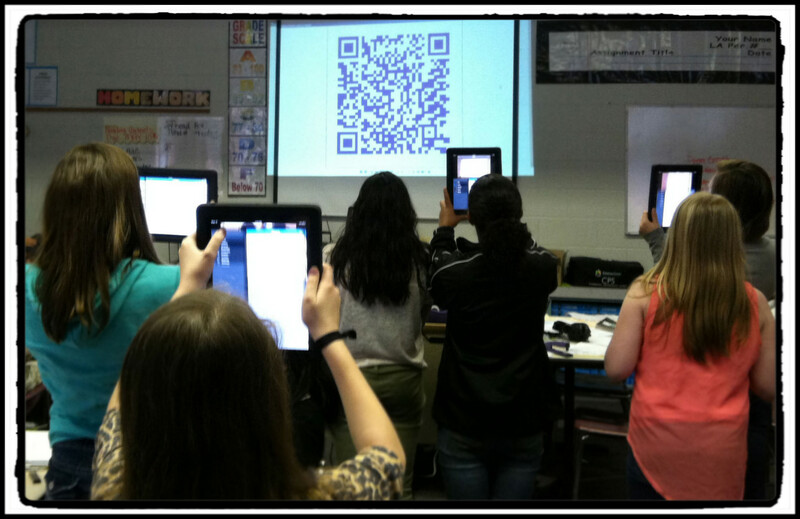 To conclude the lesson, I’d used www.qrstuff.com to create a QR code for students to scan with the iPad. It brought them to the address of my Google Doc Form Survey. There, they answered questions about their experiences. I will be sharing what I learned from my students about the use of these iPad Apps in my classroom in upcoming posts, so please stay tuned.